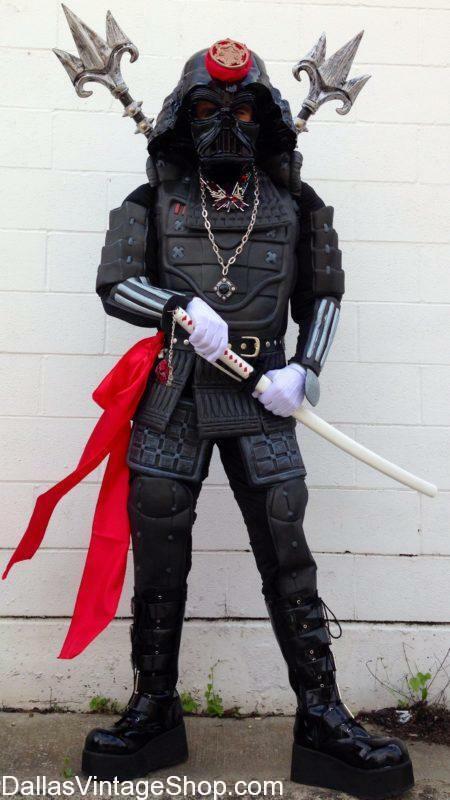 This Cosplay Gamer Costume for a Samurai Warrior God and tons more Cosplay Gamer Costumes are waiting for you here at Dallas Vintage Shop. Find plenty of great Gamer Costumes that are right for you in our Huge Costume Shop with an unbelievably huge selection of Cosplay Costumes & Accessories. We are open all year. This Cosplay Gamer Costume for the Video Game Harly Quinn Character Outfit and tons more outfits are waiting for you here at Dallas Vintage Shop. You can find plenty of great Gamer Costumes that are right for you in our Huge Costume Shop with an unbelievably huge selection of Cosplay Costumes & Accessories. 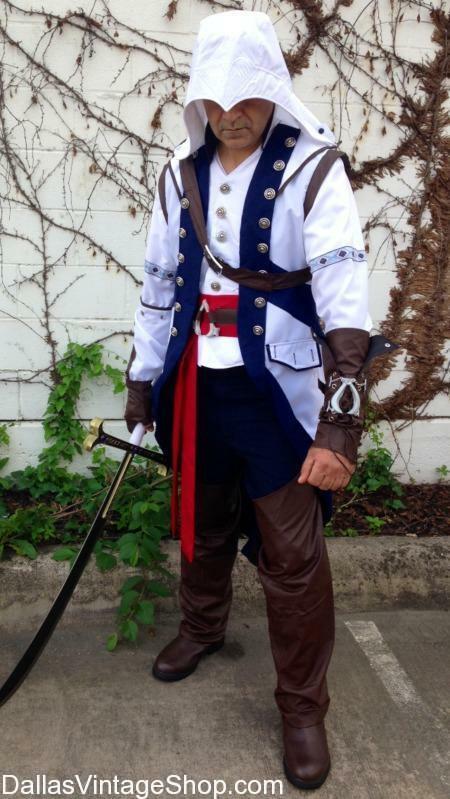 This Cosplay Gamer Costume for Assassin’s Creed and tons more are waiting for you here at Dallas Vintage Shop. Find plenty of great Gamer Costumes that are right for you in our Huge Costume Shop with an unbelievably huge selection of Cosplay Costumes & Accessories. 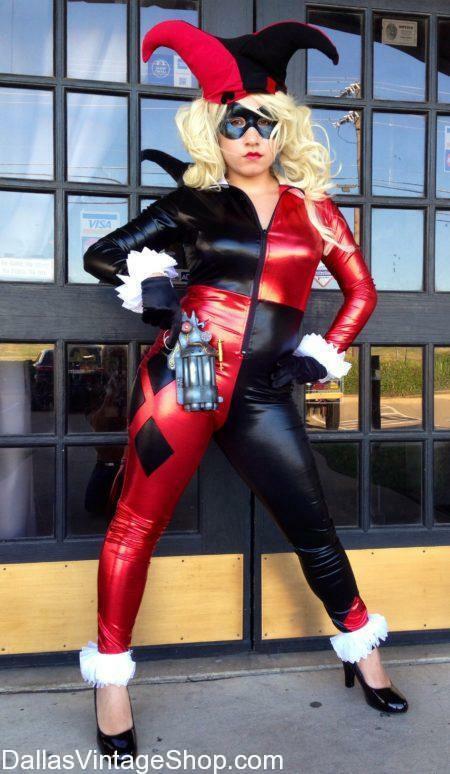 Find Cosplay Gamer Costumes like this COSPLAY Harley Quinn Costume and more at Dallas Vintage Shop. Come in and find a great Gamer Costume that is right for you in our Huge Costume Shop with an unbelievable huge selection of Cosplay Costumes & Accessories. 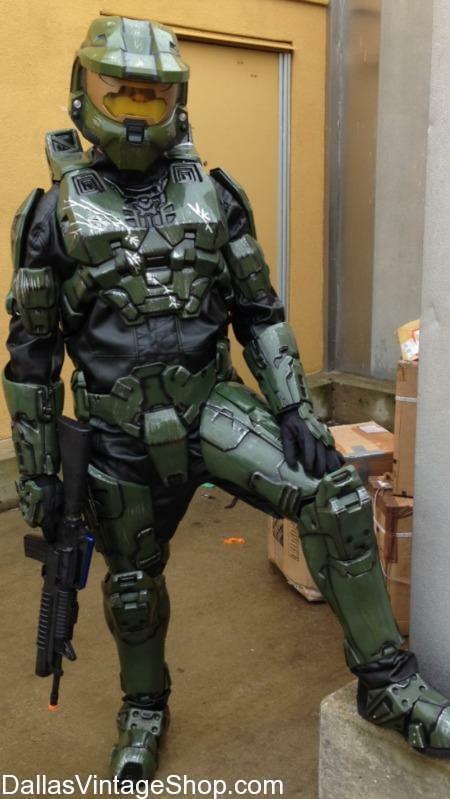 Halo, Master Chief Costume. Find plenty of great Gamer Costumes that are right for you in our Huge Costume Shop with an unbelievably huge selection of Cosplay Costumes & Accessories. We have BIG News for Dallas Area Gamers. Don’t miss this GAMING EXPO in Dallas on July 27-29, 2018, We have all the details for Lets Play Gaming Expo Gaming Competitions, Cosplay Costume Contest and more. All the Let’s Play Gaming Expo Links are here for you. Location is the amazing Irving Convention Center of Las Colinas in Irving, Tx. Check out this BioShock Infinite Elizabeth Cosplay Costume. We have this and more RPG Costume Ideas in stock all year round. ATTENTION GAMERS, we have the Details for the Let’s Play Gaming Expo. Here is the Let’s Play Gaming Expo Dates and Schedule! Cosplayers are welcome! Get //Visiting Cosplay Celebs and Cosplay Contests Info Here. Find Cosplay Gamer Costumes like this COSPLAY BioShock Character Costume and more at Dallas Vintage Shop. Come in and find a great Gamer Costume that is right for you in our Huge Costume Shop with an unbelievable huge selection of Cosplay Costumes & Accessories. For more info about Let’s Play Gaming Expo or to Register to attend go to the Let’s Play Official Website. Here is the Let’s Play Gaming Expo Location & Map. See more Let’s Play Cosplay Costume Ideas here. Need Costumes, Costume Ideas or Just parts of your Gamers Cosplay Outfit like tactical Gear? We’ve got more than you would ever expect. Check out this Bane Costume for RTX Gaming Convention. Dallas Vintage Shop has all your ScrewAttack Gamers Convention Tactical Gear and Military Clothing for RTX 2018. Need Gamers Convention Costumes Ideas? RTX Gamers Con will be in Austin August 3-5, 2018. It will be amazing so don’t miss it. Wear a cool costume from Dallas Vintage Shop. A-Kon 29 Dallas is June 7-10 2018. We have A Kon costumes in Dallas. Get ready, A-Kon 2018 location is the Fort Worth Convention Center. We have all the A Kon Costume Ideas you need right here at Dallas Vintage Shop. You are in Gaming Conventions category.